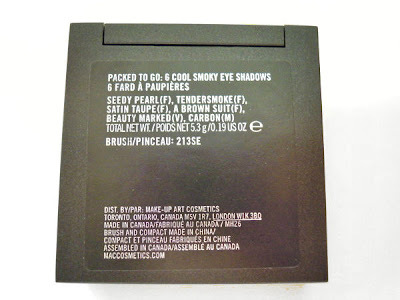 I got the MAC Packed To Go 6 Cool Smokey Eyeshadow Palette already some time ago, but I still wanted to introduce it to you. The eyeshadows are packed in a matte black MAC box which is packed in a small printed cardboard box. 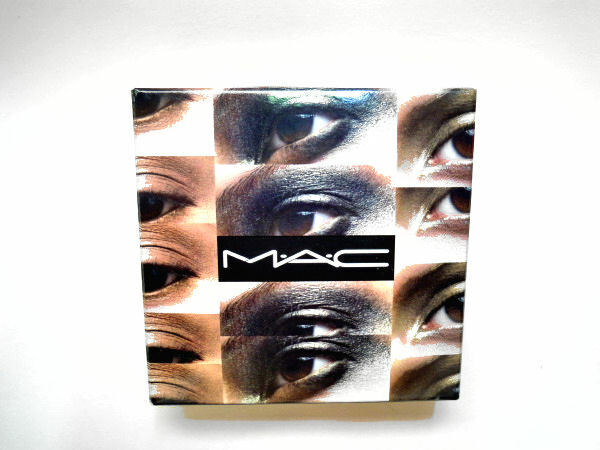 The box is 6.5 cm x 6.5 cm and the 6 eyeshadows inside are each 1.7 cm x 2.0 cm. 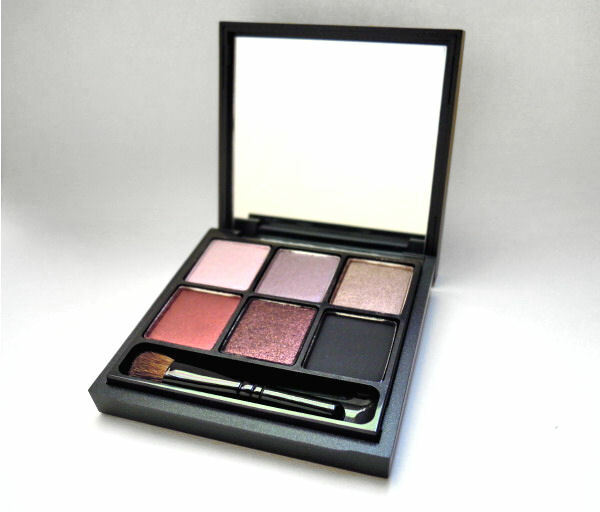 There is also a 213SE brush in the box. 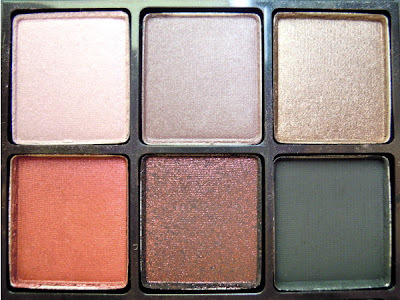 The eyeshadow palette is still available on maccosmetics.de and costs 40.00 €. The colours are Seedy Pearl (Frost), Tendersmoke (Frost), Satin Taupe (Frost), A Brown Suit (Frost), Beauty Marked (Veluxe Pearl) and Carbon (Matte). 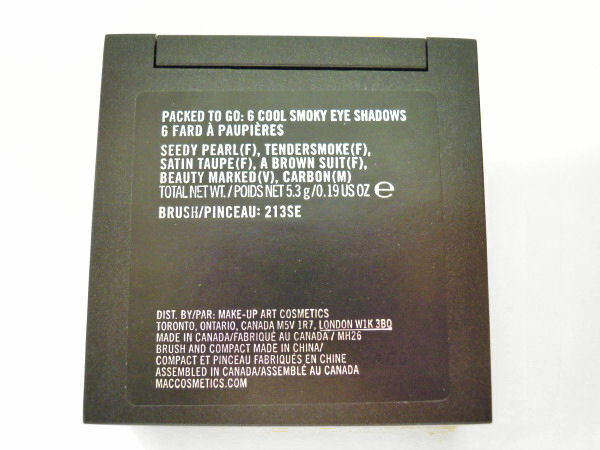 I think Tendersmoke is the only limited edition shade in this, but it's the colour I especially like. 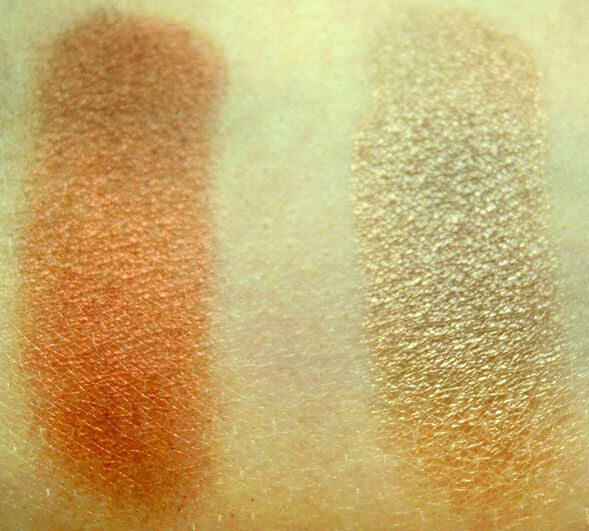 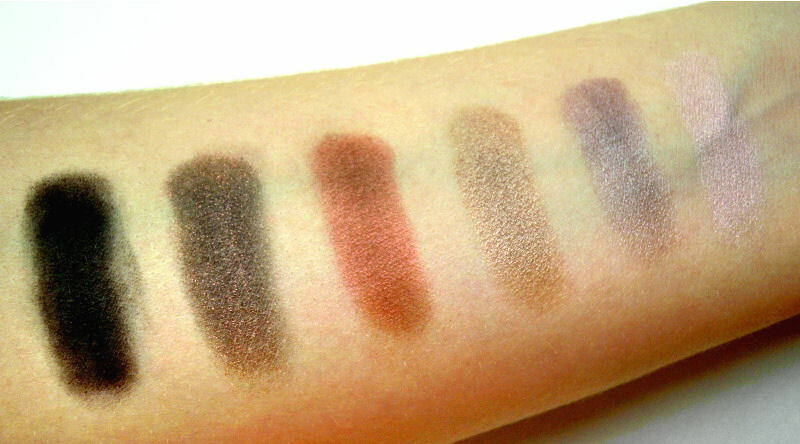 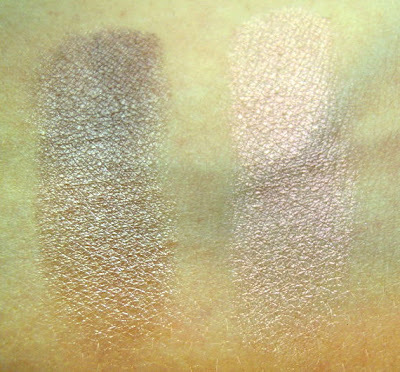 The 6 eyeshadows are perfect for me, as I particularly like MAC's frost finish. I really like the texture and colour payoff of the first 4 colours, but Carbon hasn't the best texture and is kind of hard to work with, as it is a matte black. 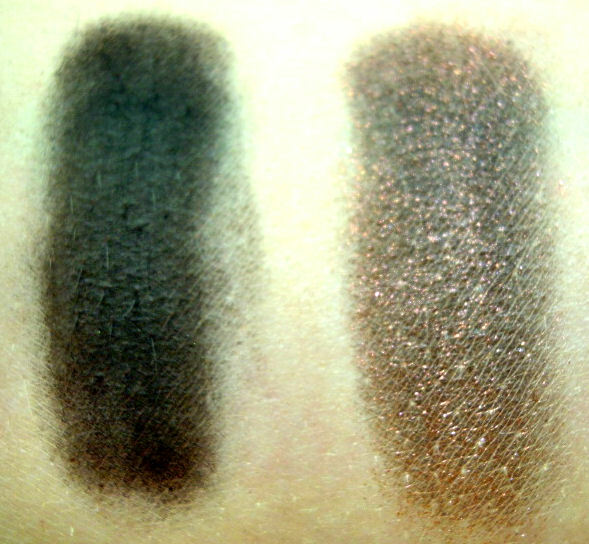 Beauty Marked however looks really nice in the swatch and also in the pot, but it is a pain to work with as you can hardly see the beautiful pink glitter when using it as an eyeshadow.